The definition “alla Cacciatora” maybe derives from a spread rural use for which in their excursions the hunters (“cacciatori” in Italian) carried with them this small salami which easily fit their saddlebags. To produce the Salamini Italiani alla Cacciatora PDO just the born and raised in the centre-North geographic area of Italy pork meat is used. This link with the territory, present in the production process regulation, exists for processing too. Today, the Salamini Italiani alla Cacciatora PDO processing requires a great experience, as in the past. The Salame Cacciatore PDO is produced with lean meat, fat, salt, pepper and garlic. Meat cuts are subjected to grinding and, respecting the tradition; it is kneaded, put into the casing, and tied in the typical “filze.” Then, it’s seasoning time. This last stage depends on the products’ sizes and must not influence the beginning paste sweetness. The Salame Cacciatore PDO has to respect the precise characteristics that the production process regulation requires: proteins quantity, the fat/proteins ratio, colour, smell, taste and slice consistency. 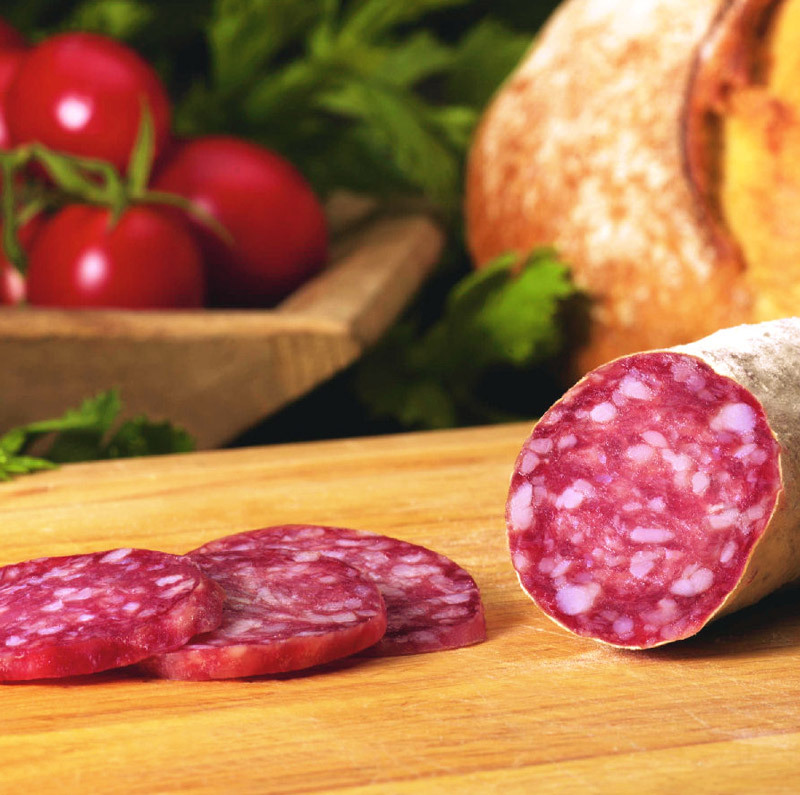 The Salamini Italiani alla Cacciatora PDO are small, dry and compact, of ruby red colour, with evenly distributed lard grains and are characterized by a delicate smell and a sweet taste. They’re perfect as starters, snacks or main courses together with durum wheat bread, fruit and salads. The name “salamino alla cacciatora,” or “cacciatore” (hunter), derives from the ancient use of hunters to carry with them this small salami, during hunting trips, as a supply. It is by far the most preferred and sold PDO salami in Italy. 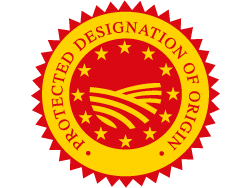 Protected Denomination of Origin (PDO), recognized under Reg. ne EU Reg.to CE n. 1778 of 07.09.2001 GUCE L. 240 of 08.09.2001.